In order to keep pace with never ending demands of clients, our company is involved in offering Living Room Wall Tile (Living Room Slate Wall Tile). Sizes: : 4 " x 12 ", 4 "x 4 ", 6 " x 12 " & 8 " x 12 "
These natural bevel tiles are very beautiful by their various colour. Bevel can be used for renovating and installing on wall, indoor or outdoor place will be fine. Bevel tiles are made of natural slate, quartzite, marble and sandstone. Bevel can be made as square shape bevel, round shape bevel, rectangle shape of bevel. We are looking inquiry only from Chennai and Tamilnadu. 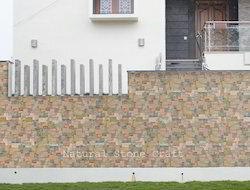 Our range of Slate Stone is a sedimentary rock, which is formed due to the solidification of sediments at a high temperature. It displays characteristics similar to limestone. Following types of stones are available with Mineral Syndicate: jak, multi light, behali, rustic autumn, lilac and autumn black slate stones. 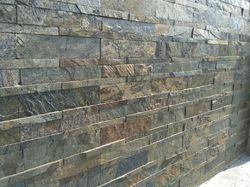 We are one of the reliable companies in this domain and are into offering Slate Tile.